Collars lock to drive shafts, keeping wheels and gears from sliding along the shaft. Availability: 160 In Stock. Backorder available. 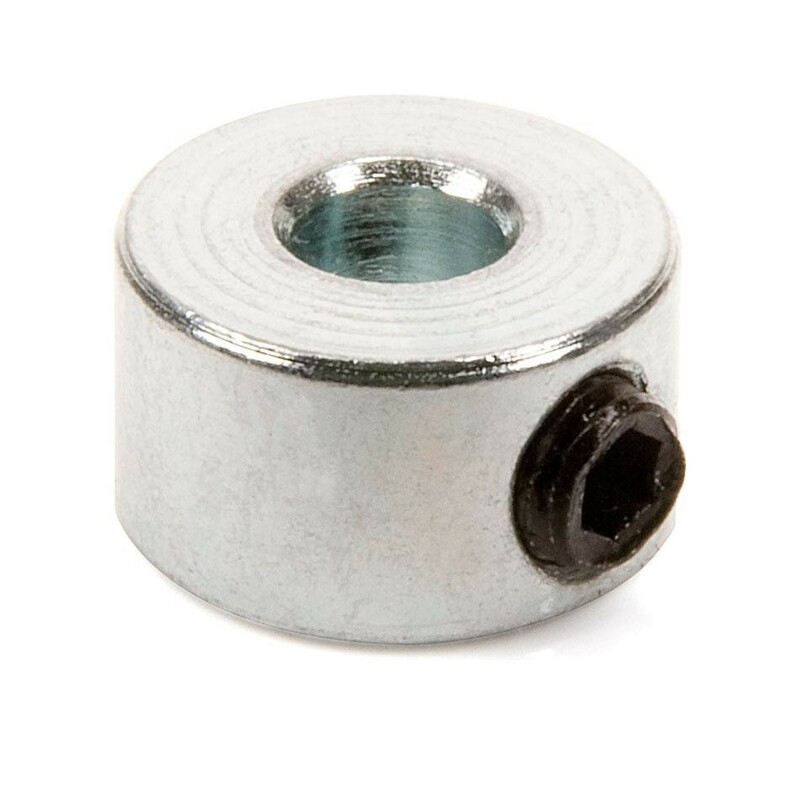 Collars fit around Drive Shafts and can be fastened in place using a setscrew. Designed specifically for the VEX Drive Shaft. Set screw uses the same Allen Wrench as the 6-32 Motor Screws. 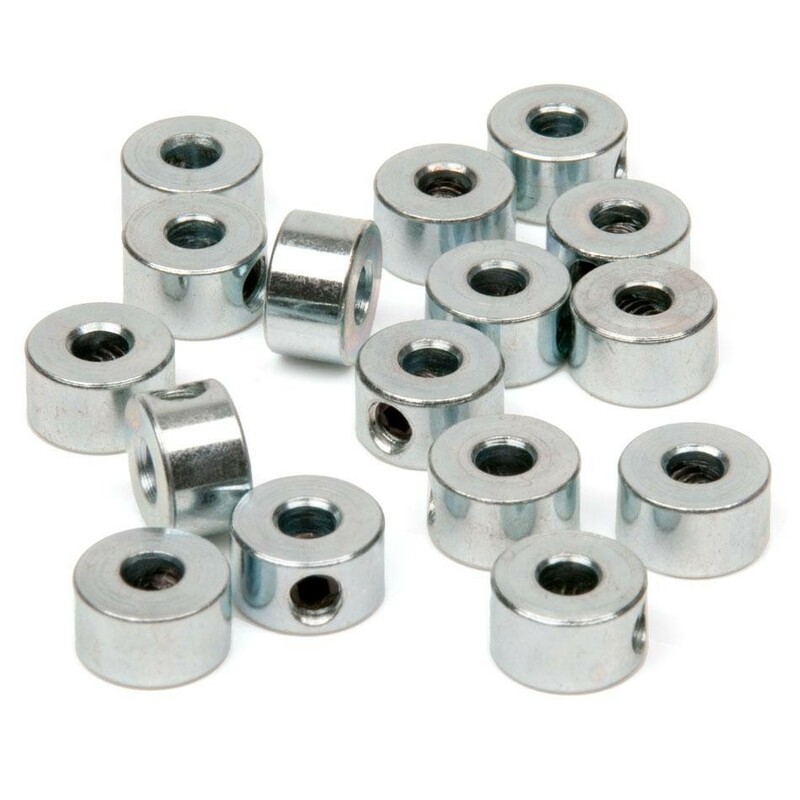 Usage Note: The setscrews used in VEX Shaft Collars are 8-32 size threaded screws; this is the same thread size used in the rest of the kit. There are many applications where it might be beneficial to remove the setscrew from the Shaft Collar and use a normal VEX screw. If a setscrew is lost any other VEX 8-32 screw can be substituted although the additional height of the screw head must be considered! (16) Shaft Collars with set screws installed. Compatible with all VEX Drive Shafts (0.125" square bars).